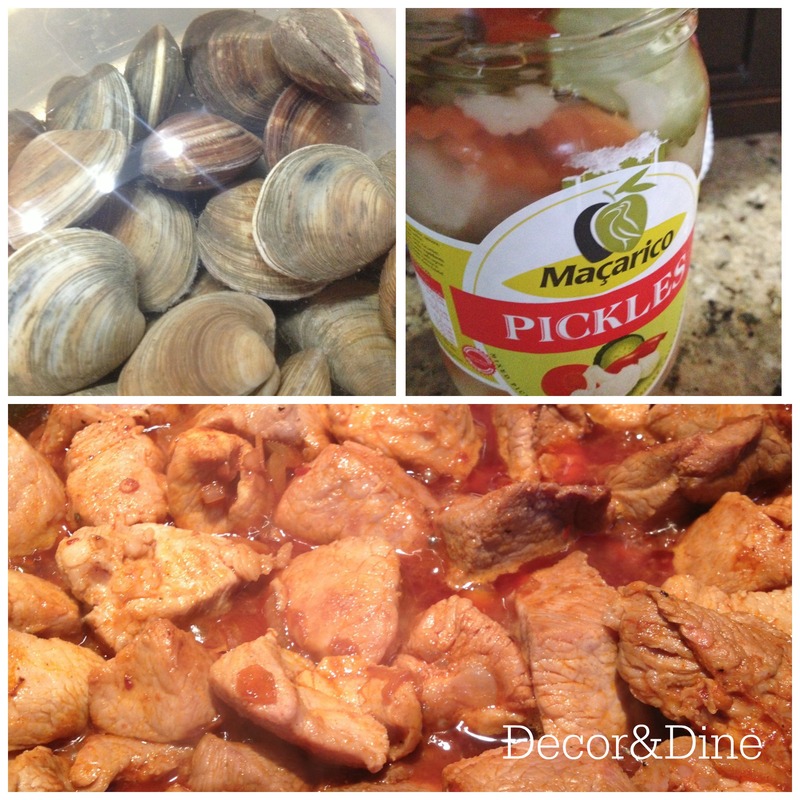 If you love pork and clams this dish is for you! It’s a favourite from the Alentejo region in southern Portugal, where my parents are from. This is a family favourite; you won’t be disappointed. 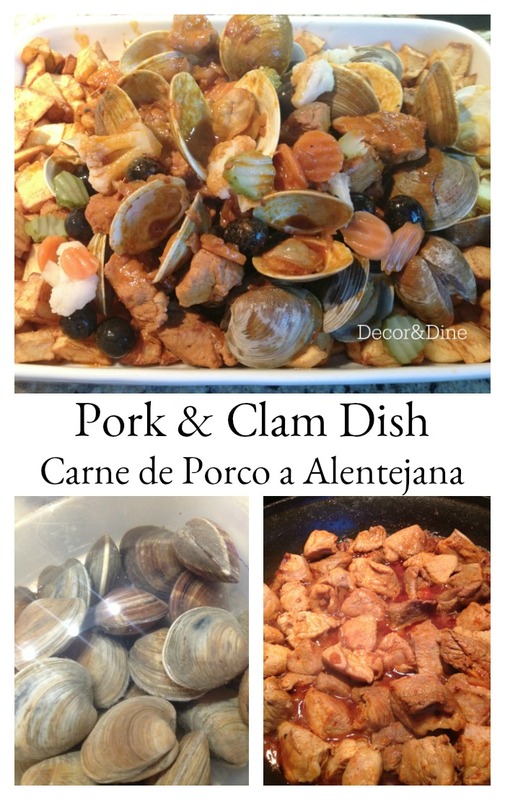 This pork and seafood meal is unique in it’s combination. 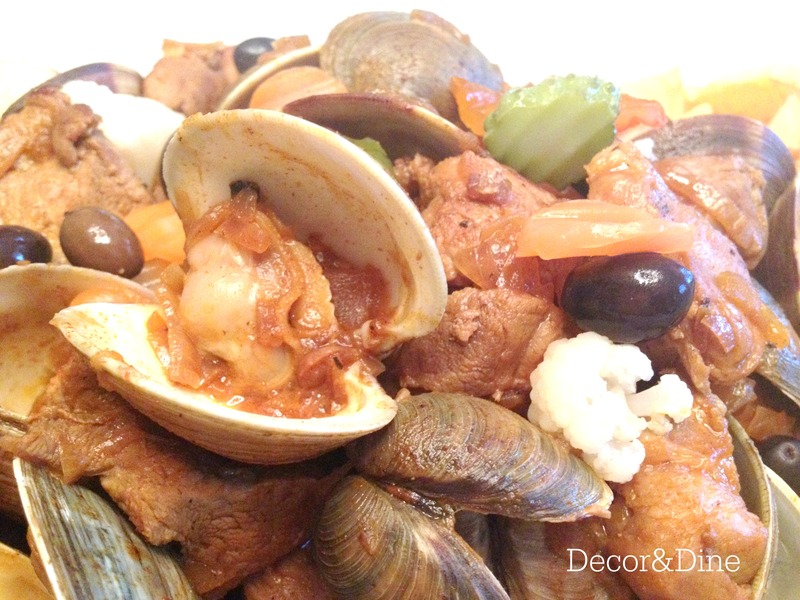 It is traditional Portuguese cuisine that will impress your family and dinner guests. This delicious dish is served with fried potatoes. Top it off with a salad and a glass of your favourite white wine. In a large bowl combine garlic, pimento paste, paprika, bay leaf and one cup of white wine. Mix to make a marinade, add cubed pork. Refrigerate overnight or for at least 4 hours, stirring occasionally. Remove pork from marinade and set marinade aside. In large skillet add 2 tbsp of olive oil, then add cubed pork and fry until brown. After, remove pork and keep warm. Add onion to skillet and cook until tender but not brown. Return meat to skillet adding reserved marinade and bring to a boil over medium-high heat. Cover and simmer for approximately 30 minutes or until desired tenderness. Add clean clams to the meat, cover for 8-10 minutes until clams open. Discard any closed clams. In separate skillet, fry the cubed potatoes in vegetable oil, until golden brown. 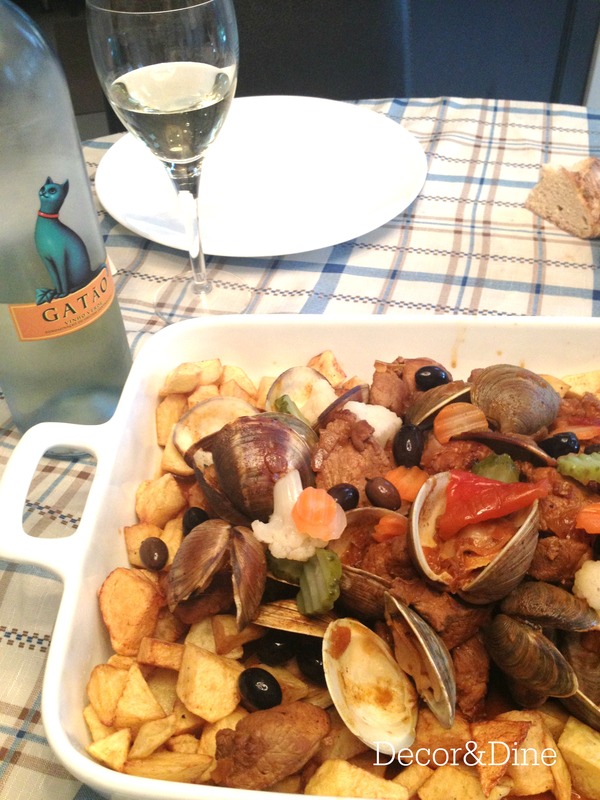 Place meat and clams in a serving dish surrounded by fried potatoes. Garnish with chopped coriander, pickled vegetables and olives. Spoon some juices left in the skillet over dish. Let us know if you enjoyed this dish. Feel free to contact us with any questions.